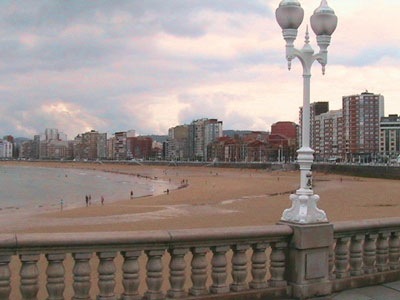 It has been some time since I have written in our blog about our travels but after having just spent a terrific weekend in the lovely city of Gijon in Asturias, I´ve been prompted to do just that. 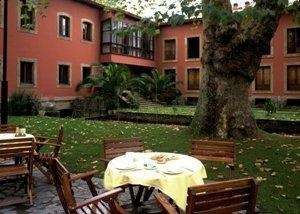 Our base was at the 4 star Parador de Gijon, a converted old mill situated in the Isabel La Catolica Park, where we were kindly given a spacious, superior room with 4 poster bed overlooking the park and it´s many bird inhabitants. 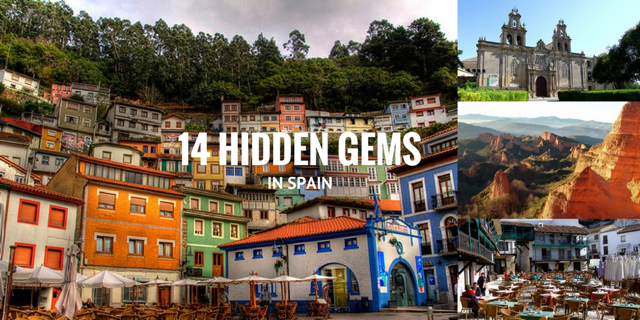 The perfect location from which to explore this fine Northern Spanish coastal city. 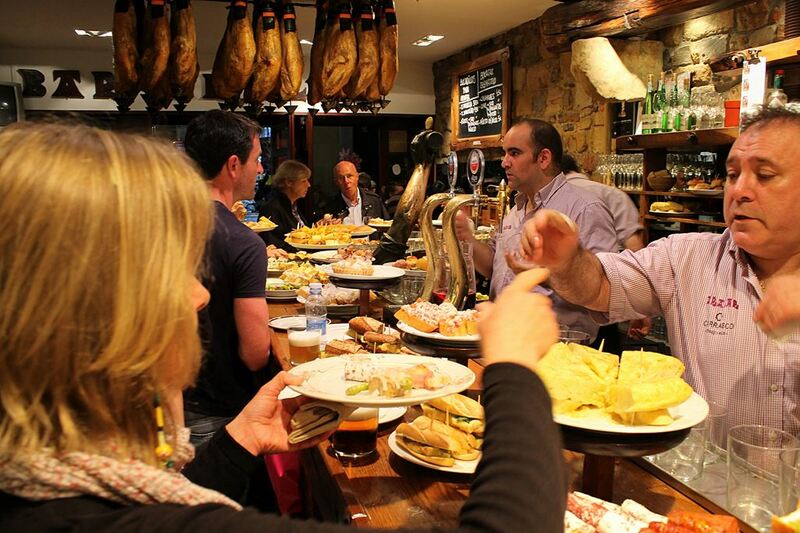 The people of Asturias are so friendly and welcoming and they enjoy a cuisine to die for. Our first evening, despite being in Asturias, we couldn´t resist having a pre-dinner drink at O´Rison, a Galician bar/ restaurant situated on Calle Emilio Tuya that specialised in the most delicious octopus and lacon (boiled ham) accompanied by a tasty Ribeiro wine served in the typical ceramic cup known as a “taza” or “cunca”. Our appetites whetted, we headed to La Fueya de Tomas, a traditional sidreria or ciderhouse situated on the Calle Marques de Urquijo. Asturians drink fresh apple cider like the Irish drink Guinness and therefore cider houses can be found on nearly every corner of this city where they are also known for serving tasty traditional Asturian cuisine. Here we enjoyed a scrumptious meal that included squid calamares a fogaos, cecina (cured beef), beef cooked with a cabrales cheese sauce, seafood salad and several other dishes all washed down with fresh apple cider. Mmmm. Happy and content we retired back to our cosy room at the Parador de Gijon. The following day we spent exploring the city and strolling along the marvelous promenade that runs the length of the San Lorenzo Beach and Bay. 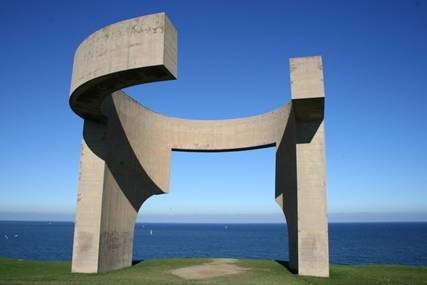 We saw the Eduardo Chillida statue that dominates the headland. We also saw the impressive Roman baths which are very well preserved and certainly worth a visit. Lunch today was at the wonderful Sidreria El Pozu L´Arena which is at the junction of Calle Manso and Calle Marques de Urquijo. The owner had spent a decade working in the mines in Asturias and his restaurant is now a museum dedicated to mining. We ate their incredible 4-course, 12 euro menu-of-the-day ( yes, only 12 euros) from which we choose a stunning, spicy seafood soup followed by a clams and giant mushrooms, followed by roasted goat, followed by dessert. A remarkable meal at a remarkable price and a highlight of the weekend. At this time of the year the traditional Christmas market is open in Gijon in the Plaza del Instituto so after lunch we headed there and enjoyed some last minute shopping. An intended brief refreshment stop at the Sidreria La Verja on Avenida de la Costa turned out to be longer than expected as the barman was extremely friendly and kept us plied with tapas, cider and his good humour as we tried to learn the art of escanciar or pouring cider from a height to aerate it. This evening we dined in the Parador where they are celebrating the chain´s 80th anniversary this year with a range of interesting menus based on the cuisine offered in Paradores hotels across Spain. On our last morning before heading home to Cantabria, we left Gijon and made our way to Villaviciosa. This small, pretty town is right in the heart of the cider-producing region and is to cider what Rioja is to wine. The famous El Gaitero cider comes from here. In the main plaza, Plaza Generalisimo, we ate another superb lunch at the Sidreria Meana consisting of fabada, the famous Asturian bean stew followed by roasted suckling lamb and, you guessed it, fresh cider. 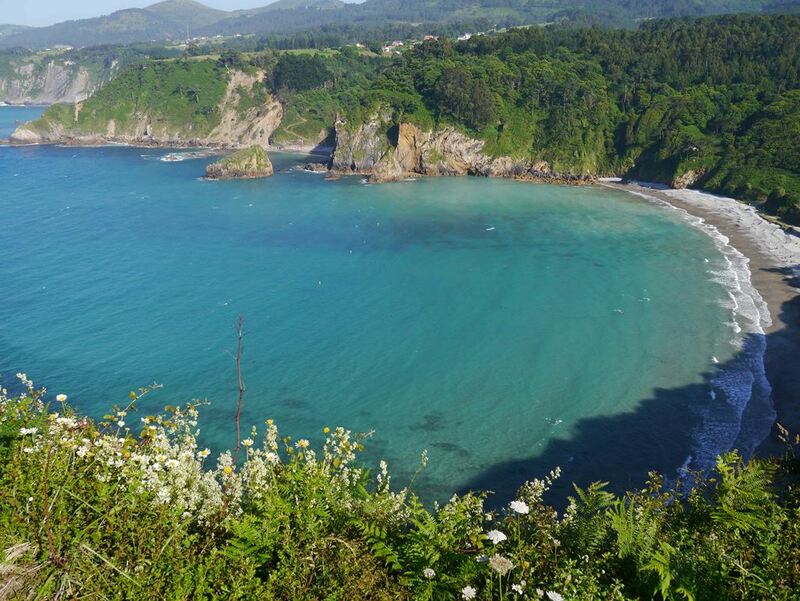 I´ve been to Asturias many times and it is a place that I always feel comfortable, I always enjoy myself and I always miss it when I leave. It´s simply marvelous and always lives up to it´s reputation as a Natural Paradise.